From left to right: Alex Telford, Josh Marlatt and Lane Bode. 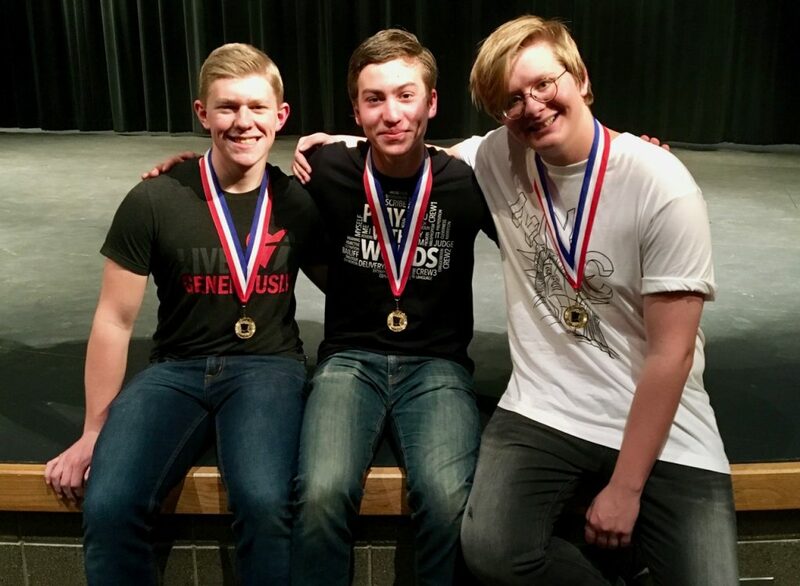 Congratulations to seniors Alex Telford and Josh Marlatt and junior Lane Bode, who were selected as All-Conference Actors on Saturday, January 20 at the Minnesota River Conference One Act Play Festival held at Le Sueur-Henderson High School. 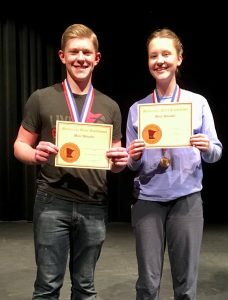 Alex Telford and Grace Ewals from Jordan High School, Most Valuable Actor and Actress at the MN River Conference One Act Play Festival. Alex was also named as the Festival’s Most Valuable Actor by the Festival judges and directors. Grace Ewals from Jordan High School was named the Festival’s Most Valuable Actress. Alex is the son of Kevin and Tammy Telford, Josh is the son of Jeff and Kristine Marlatt, and Lane is the son of Tim and Joan Bode. 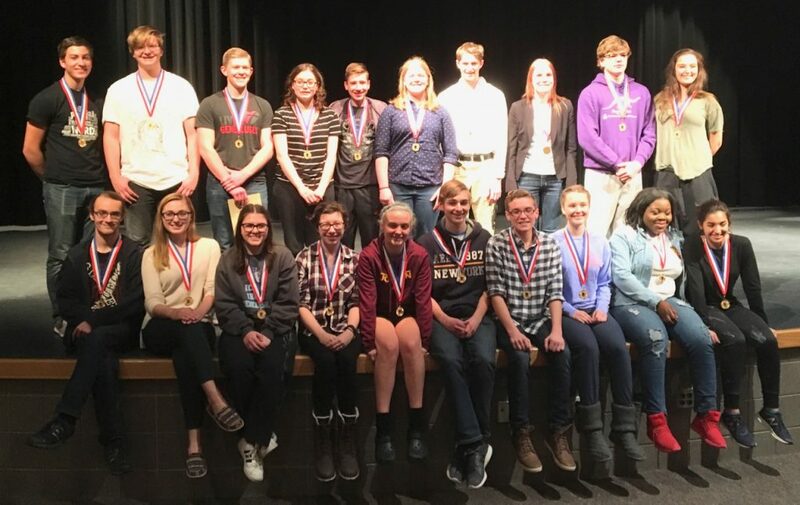 The MLHS One Act Play – “A Play With Words” – will be competing at their Section 4A subsection competition on Saturday, January 27 at 10:55 AM at Rockford High School. The subsection competition is free and open to the public. The top two plays as determined by the judges will advance to the section competition at St. Paul Academy on February 3rd. The All-Conference Actresses, Actors and Crew Members from the MN River Conference One Act Play Festival.